Seize the day, seize the salad. The lack of exciting food choices on Lambton Quay has been a long-time source of disappointment for the crowds of young professionals and public servants pounding the pavement during their lunch break. Let's be honest: there’s only so much sushi-in-Midland-Park one can take, and who really their life well in order enough that they take their lunch to work with them every day? It is perhaps a first world problem not having enough to choose from at lunchtime, but it is a problem nonetheless. So it’s with great pleasure that both suits and Pipitea campus students have flocked to Seize for their daily salad, juice, and smoothie needs. Despite opening towards the end of last year, Seize has received little public attention, although it is well-deserving of a little glory and repute. The interior décor reflects the freshness of the produce – raw timber paneling that is oh-so-in-vogue-right-now wraps around the walls, and wall-mounted boxes display real-life fruit and vegetables to be used that day. Above the counter is a chalkboard menu, which changes with the seasons. The menu’s designed based on whatever’s freshly available, so there’s no fear that you’ll be eating the same green salad every day for the rest of the year. Phew. You order your salad/smoothie/juice/granola/all of the above at the counter. The service extremely friendly and if you haven’t been to Seize before, they’ll talk you through their menu with an astounding level of patience and enthusiasm. Seating is available inside at a large communal table, or outside on Lambton Quay sitting in the sunshine beside some kale plants, if things weren’t quite fresh enough for you indoors. For those who say salad is rabbit food, this could be the place that changes your mind. 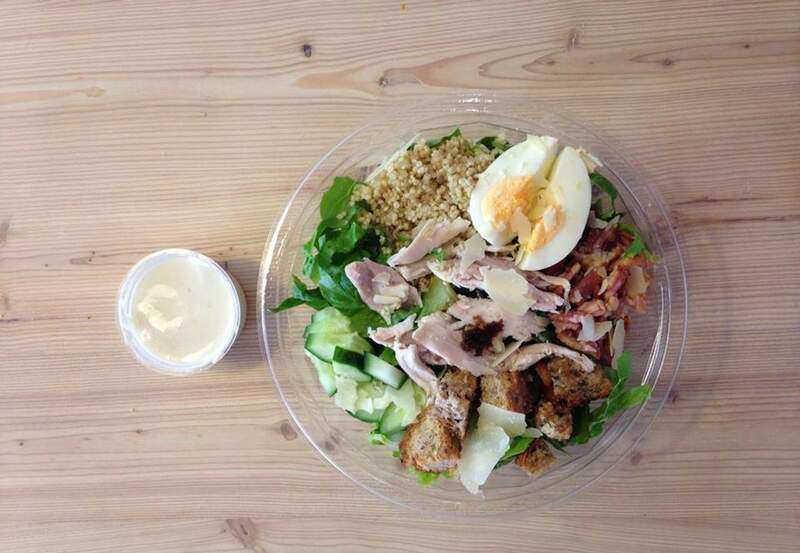 Seize’s salads are substantial and filling, packed with a careful balance of bright, fresh tastes and textures. If you’re still skeptical, there are usually a few delicious baked treats available at the counter too. The smoothies are, for lack of a better word, phenomenal. Again, they change with the seasons. I had the Cacao Berry Nut smoothie ($9) with strawberries, banana, maca powder, coconut milk, and pure vanilla extract. A creamy, but oh-so-healthy filling and delicious liquid treat which is beautiful enough to entice a second visit and sipping. If this is the result of eating healthy every day, sign me up.